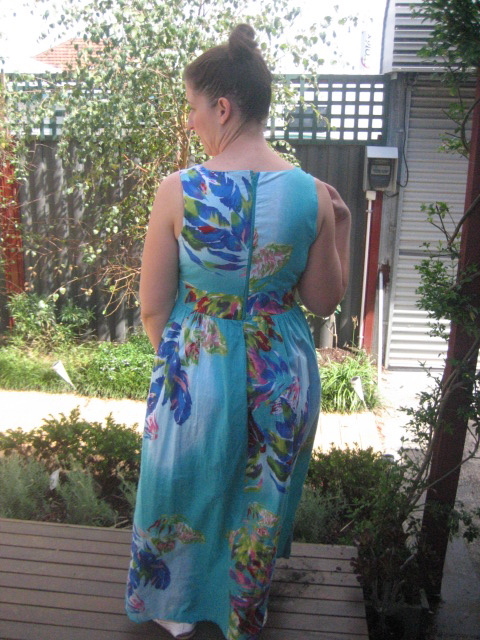 I actually started making this dress in the summer of 2010, believe it or not. 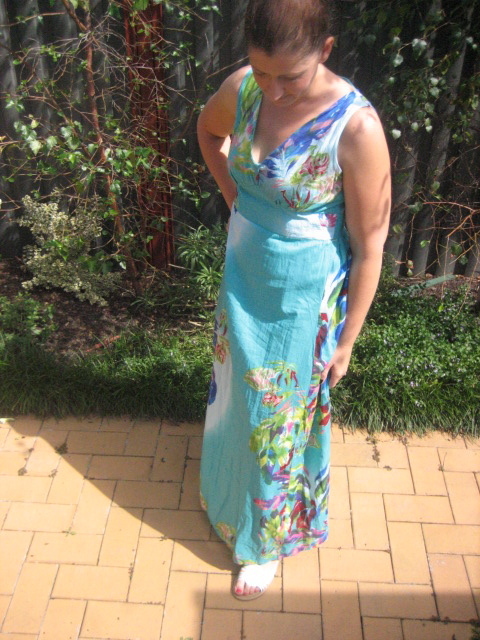 Then I fell pregnant and it sat in my sewing ‘storage’ until this summer, when I finished it off. 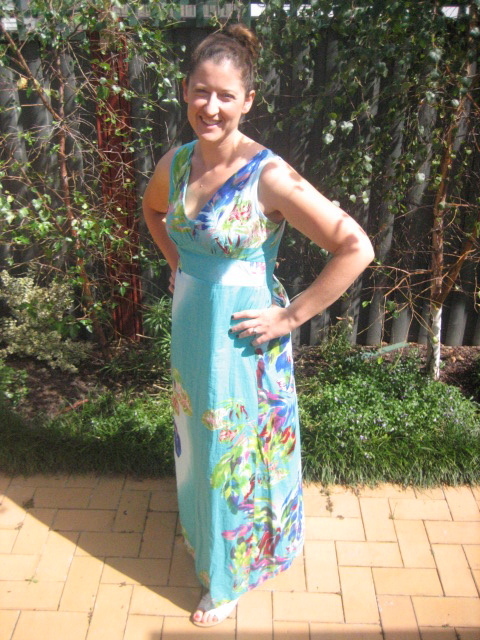 It was a simple pattern, with a flattering v-shaped neckline. As it is an a-line style, I think it’s quite flattering as it covers all the lower bits that sometimes are best kept hidden (aka thighs, hips and tummy). I wore it out to dinner with two of my gorgeous girlfriends (Shan and Brooke) and it wasn’t until later in the evening that they commented on it, and were very surprised to hear that I had made it myself. Later that same evening as we were walking back to the car, a stranger commented on how beautiful it was…needless to say, I was chuffed! What things have you made that people have commented on? OR you’re welcome to just leave a random comment – I’d LOVE that! 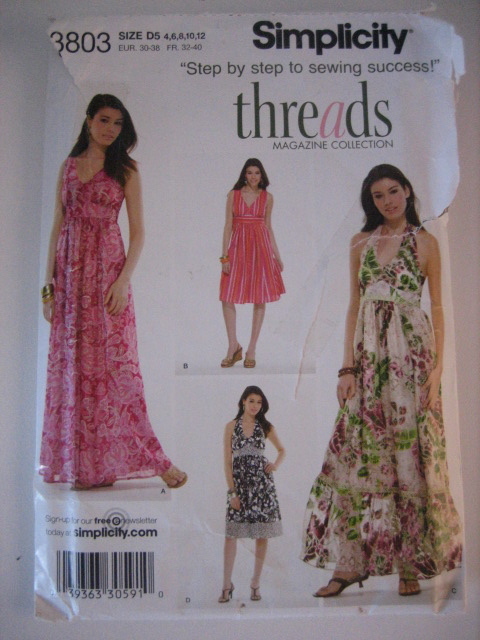 This entry was posted in Sewing Random and tagged clothing, Fashion, style by sewandbakeandlove. Bookmark the permalink. If you go into production it’s not fun anymore – but thanks for the complement! I’m going to hold you to that! Gorgeous fabric, I’m glad you finished it, its lovely! My spotty Cambie always gets comments. And my new Vogue 1247 top is much admired. I love your dress the colours are just lovely! I would wear v.fine strappy flats possibly with a tiny bit of metal. what a lovely fabric. And, you know, on the Spotlight thing? I might have been a bit luckier because I’ve had reasonable service there, sometimes even good (and very rarely appalling although that has happened). I’ve had compliments from colleagues on scarves I’ve knitted and one I’ve sewn, but they don’t really count as random strangers. I’ll have to try harder.